The Yamaha CM500 headphones: the best $45 you’ve ever spent for a ham radio accessory. Probably one of the most cost-effective ham radio purchases I’ve ever made was a pair of Yamaha CM500 headphones. My buddy Dave Anderson (K4SV) first told me about them as he prefers them to much pricier models he’s owned. The Yamaha CM500’s have amazing audio fidelity for ham radio purposes (also for SWLing). Best yet, they have a built-in boom mic that produces beautiful audio in phone modes. I’ve gotten many, many compliments using the CM500 on the air. You’ll be happy to know that if you just purchased an Elecraft KX3, you simply plug in the CM500 headphone and mic connectors, adjust your mic and VOX gains and you’re in business! True plug-and-play. The normal price of a set of CM500’s is around $55 US; even at that price, I challenge you to find any boom head sets that match its quality. But when they go on sale? Like right now? You can snag them for $44.99!!! (at Sam Ash Music) This is an excellent value and a no-brainer! If you don’t take my word for it, just read some of these eHam reviews. The CM500’s are marketed to musicians, so you won’t necessarily find them at a ham radio retailer. Sam Ash tends to have the best pricing and they usually put the CM500’s on sale once a year or so. If they run out, you can still get that pricing in backorders. Father’s day is around the corner. A subtle and strategic hint might just land you a pair of these! Click here to view the Yamaha CM500 headphones on Sam Ash. 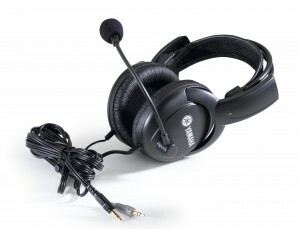 This entry was posted in Reviews and tagged Yamaha CM500 Headphones, Yamaha CM500 Review. Bookmark the permalink. I use Maxell cheap folding headphones for rigs with 3.5 mm stereo jacks and Kenwood HS-4 headphones for rigs with 1/4 in mono jacks. Hardly ever use mike (lip was burned by D-104 first time I used one) so mike on headphones not necessary for me. Guess I may be a headphone luddite cheapskate.